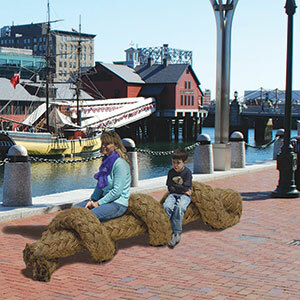 Last fall, Design Museum Boston announced their Street Seats challenge for the Fort Point region of the city. 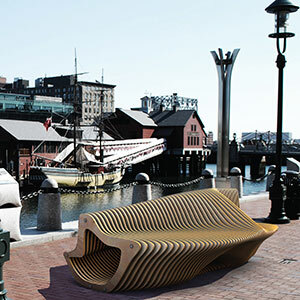 Calls for entry were to submit designs for benches or "street seats" to be installed in the Innovation District in Fort Point, downtown Boston. 170 entries were submitted and 20 finalists will be on display beginning April 27 through October 6. Each one is very unique in style & function. You can see them on the Street Seats page, where their building progress is tracked and a short video for each can be viewed. This caught my eye as a team from Syracuse University is in the final group! As this area is near my apartment, I will certainly be visiting this summer! 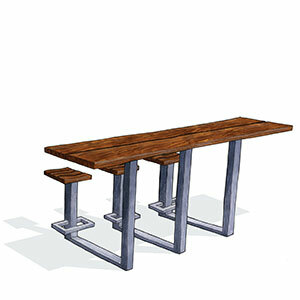 those seats are so cool! 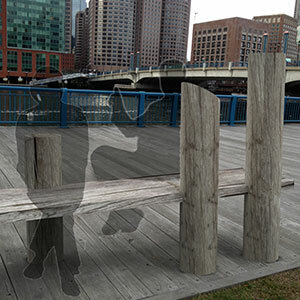 i haven't been down by the north end/waterfront lately but i will need to check it out! 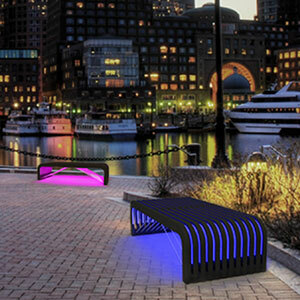 oooh i like those light up benches!! So fun...love those colorful curvy ones! Ha! Those are so fun!! Love the one's with flourescent lighting underneath. 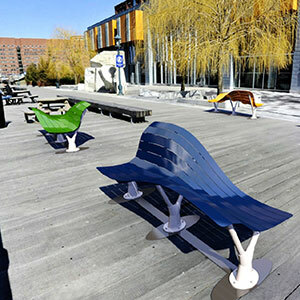 That would be awesome to sit on at night. this is soooo cool!!! i love when they just let people be creative! I work near the area and will be definitely be checking this out! Those are very cool. I need to look out for those! So cool - thanks for sharing!